Commercial fish ponds depend on blowing air in order to improve the habitat and to help it serve the needs of aquatic life. The oxygen content in fish pond water should be increased and this is made possible by the use of liquid ring pumps or gas ring blowers. With the aid of this technology, it is easier to increase the number of fish that can live in the pond. Consequently, the heat generated by the pump will help regulate the temperature in the pond. This process will then allow the fish to multiply in a faster and healthier manner. At Airtech Vacuum Incorporated, we can install vacuum and blower technologies for pond aeration purposes. Vacuum and blower technologies play an important role in pond aeration, specifically for the fish and prawn pond aeration industry. When managing these facilities, there are two specific applications that can be remembered. One is when drying the pond or when extracting oxygen from it. 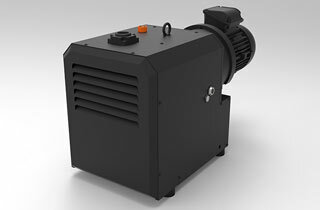 Another is using vacuum pumps in a technology called central vacuum systems. This is that application where the pump becomes useful in freeing the pond from dust and all other particulates. As these vacuums work to provide the industry with what it needs in order to grow and multiply fish and prawn, one can be sure that there will be a steady development of these aquatic resources. It is important to choose a technology that will suit the specific size of the pond and those that meet the needs of the life dwelling inside it. Why Choose Airtech Vacuum Incorporated For Pond Aeration (Fish and Prawn Pond Aeration)? 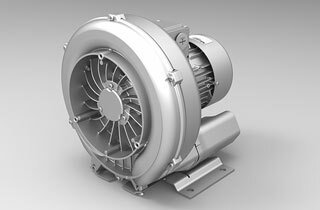 Since 1982, Airtech Vacuum Incorporated has been recognized as a leading manufacturer of a wide variety of vacuum and blower technologies, like high pressure regenerative blowers, liquid ring vacuum pumps, dry rotary vane pumps, rotary claw compressors, and more. We thank our team of dedicated workers who tirelessly work on each project in order to produce unparalleled technology for various industry needs. If you order your pond aeration systems for fish and prawn pond aeration from us, you can be sure that they are easy to install and operate. We are proud to have achieved certification from ISO, CSA, CE, UL, and RoHS. With this, you can have peace of mind choosing our products. We also have knowledgeable engineers who are always ready to analyze your unique situation and match the best pressure-based and vacuum technologies with your needs. Whether you need a rotary claw compressor or you want a dry rotary vane pump for your application, we have got your back. We take pride in our products and deliver every order with care at the most competitive prices in the market. Explore our pages and learn more about pond aeration vacuum and pressure products that we have in our inventory!